1. The knob design is ergonomic, surface adopts solid die casting, long-lasting new, smooth surface, no fading, excellent workmanship. 2. The installation base made of high quality zinc alloy which is anti-rust. The base adopt the widen design which is more stable. The mounting hole thread is deeper to install and fasten. 3. We provide two sizes of mounting screws for easy installation, which can be selected according to the thickness of the different boards. If the screws are not suitable, please prepare your own screws. 4. Our vintage high quality knobs can be used on dresser drawers, kitchen cabinets and bathroom cabinets. Our decorative knobs will make any furniture look more elegant. 5. These knobs are easy to install. It is chic, practical, and economical, the small drawer knobs has recently been popular for decoration. 6. 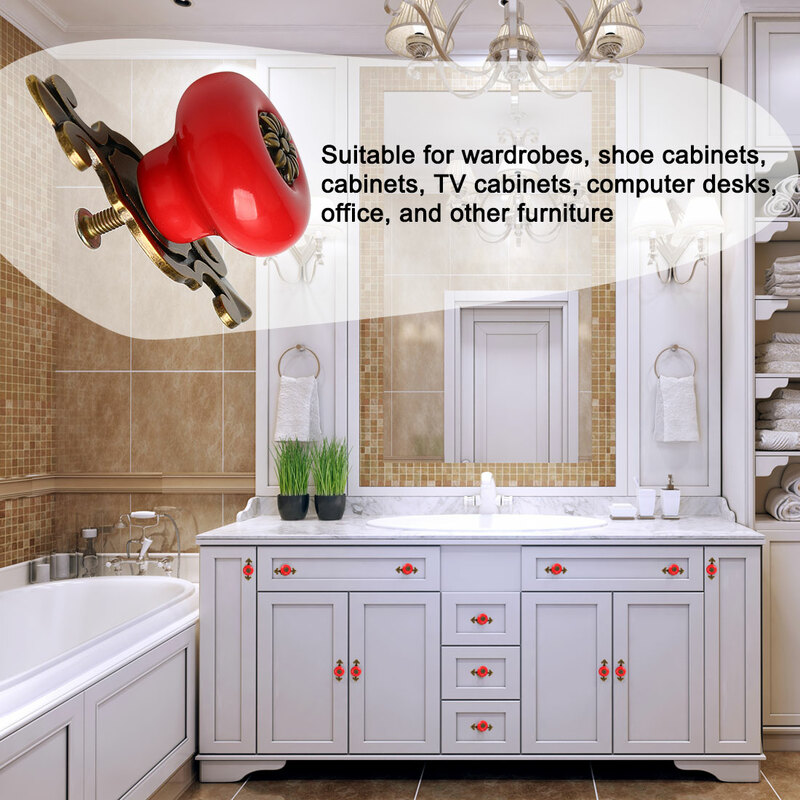 The beautiful door knobs are suitable for the door of the drawer, chest of draws, dresser, cabinet, cupboard, wardrobe, etc. Great gift for new home decoration, furniture renovation and so on. Screw Thread Length : 25mm/1"; 22mm/0.87"
Screw Total Length: 27mm/1.06"; 24mm/0.94"
Fit for board thickness: 12-17mm/0.47"-0.67", 12-15mm/0.47"-0.59"
2. Due to the screen setting difference, the color of the item may be slightly different from the pictures.